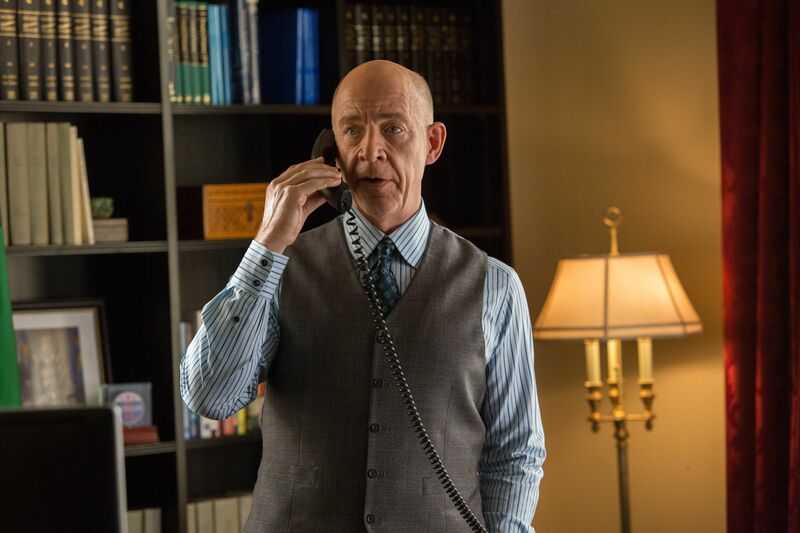 Oscar-winning actor J.K. Simmons now has the distinction of playing two iconic comics characters on screen from both the Marvel and DC Universe. He is widely regarded as the definitive J. Jonah Jameson from Sam Raimi’s Spider-Man trilogy, and filmmaker Zack Snyder enlisted the Whiplash actor to play Commissioner James Gordon in the upcoming Justice League and, hopefully, future DC Extended Universe films—like Ben Affleck’s standalone The Batman. Collider’s own Steve Weintraub recently spoke with Simmons in anticipation of the upcoming thriller The Accountant, and Steve mentioned that when he visited the set of Justice League earlier this summer, he got to see Simmons’ first day on set. As opposed to a small scene to get his feet wet as the new Gordon, the scene in question took place on the rooftop of police headquarters and featured Gordon conversing with Affleck’s Batman, Gal Gadot’s Wonder Woman, Ezra Miller’s The Flash, Ray Fisher’s Cyborg, and Jason Momoa’s Aquaman. So, the entire Justice League. How did he feel about diving into the deep end like that on his first day? If you missed what Affleck had to say about choosing Deathstroke as the villain for The Batman, click here. Look for the full Accountant interviews on Collider soon.